A committee has been established to find UM’s vice chancellor for diversity and community engagement. OXFORD, Miss. 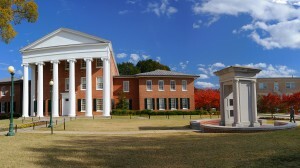 – The University of Mississippi is seeking to fill the new position of vice chancellor for diversity and community engagement. This position is one of the key components of UM’s comprehensive action plan designed to foster an inclusive and welcoming environment on all its campuses. The action plan was announced in August 2014, and an earlier search to find a candidate for this position was unsuccessful. Renewing the effort to hire UM’s first vice chancellor for diversity and community engagement is among Chancellor Jeff Vitter’s top priorities, he said. “As key components of the UM Creed, the values of diversity and multiculturalism are core to the University of Mississippi community,” said Vitter, who became chancellor on Jan. 1. “I share that strong commitment to diversity. Provost and Executive Vice Chancellor Morris Stocks has established a search committee to oversee this effort to find the person who will serve as the university’s chief diversity officer. Once hired, the new vice chancellor will report to Stocks. Don Cole, assistant to the chancellor for multicultural affairs, assistant provost and associate professor of mathematics, has served as the university’s chief diversity officer since 2003. Cole joined UM in 1993 and was recognized in 2003 with the Frist Student Service Award. Vitter and Stocks expressed appreciation to Cole for his leadership and steadfast commitment to enhancing the campus climate for all. “Don Cole has shown a remarkable talent first for listening carefully to the concerns of a wide array of individuals, and then working cooperatively with many people and programs within the university, our community and the state to effect positive change within our university,” Stocks said. Vitter also praised Cole for his impact at UM. “We are deeply grateful to Don Cole for helping our university make important progress in creating an inclusive and welcoming environment for all,” Vitter said. Among the responsibilities of the new vice chancellor will be to engage in efforts to address issues of race and diversity at UM. This vice chancellor will also work with other existing campus organizations that focus on these issues, Stocks said. Brandi Hephner LaBanc, vice chancellor for student affairs, will serve as chair of the search committee. Other members of the search committee are Tony Ammeter, Michael Barnett, Alice Clark, Don Cole, Derek Cowherd, Sandra Cox-McCarty, Phillis George, Susan Glisson, Maria Gondo, Sue Grayzel, Carl Hill, Andrea Jekabsons, Linda Keena, Shawnboda Mead, Chase Moore, Sathyanarayana Murthy, Albert Nylander, Rachna Prakash, Sujith Ramachandran, Evangeline Robinson, Jocelyn Tipton and Ryan Upshaw. To assist the search committee, a firm will be hired to recruit qualified candidates. Once the search is open, information will be available on the Office of the Provost’s Web page.